As any seasoned teacher will tell you, the classroom is full of unexpected surprises: a sick student one day, a power outage the next. Being prepared for these sorts of events can mean the difference between a small inconvenience, and total, outright chaos. Luckily, there are some inexpensive supplies that can help teachers endure these daily classroom hazards with ease and grace. Here are a few you should never go without. 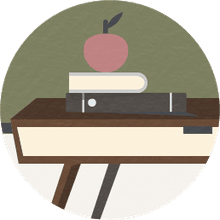 Unfortunately, many classrooms do not have the electrical outlets required to accommodate every electronic device you might need over the course of a lesson. These devices might include projectors, computers, speakers, pencil sharpeners, or chargers. To avoid a game of musical chairs with your electronics, use a power strip to plug them all in at once. Extension cords can help bring the power to you, so you do not need to walk back and forth from your desk to the outlet throughout a lesson. You may need to seek approval before using these items in the classroom. You should not plug more than one extension cord and one power strip into an electrical outlet. In addition, many schools suggest that extension cords be removed and stored at the end of the school day. Any extension cord or power strip must bear a UL (Underwriters Laboratories) rating. Of course, the savvy teacher clearly labels each of these items with his or her name and room number — like pens, these tools are hot commodities that tend to disappear more easily than they return. As a teacher, you'll be subjected to high-pitched cheers at pep rallies, PA announcements, and chatty students on a daily basis. Needless to say, headaches will happen. The savvy teacher has a healthy supply of aspirin, ibuprofen, naproxen, or acetaminophen. Remember that you must not distribute to students under any circumstances (send them to the nurse instead), but you should be prepared to offer them freely to fellow teachers. 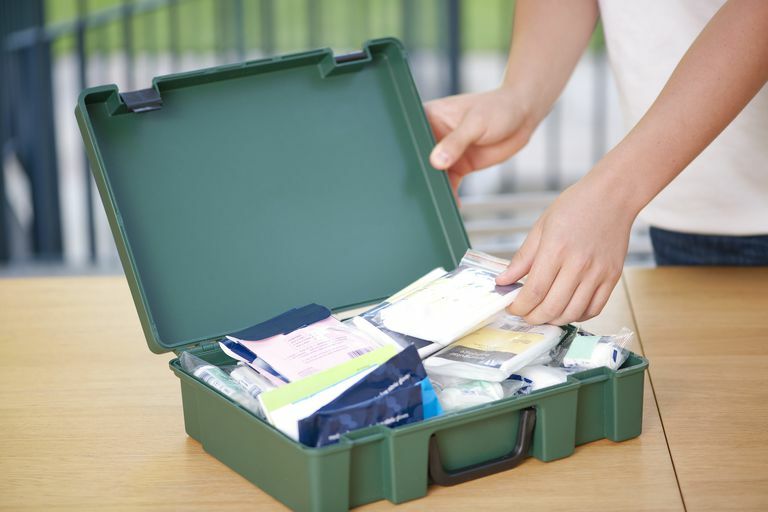 In addition, you will need to store a first aid kit with band-aids, antibiotic, and a roll of medical tape. A bottle of saline is a good addition. Silver duck tape can quickly repair everything from backpacks and lunch bags to heels and hems. Clear packaging tape can be used to patch mobile phone screens, textbook covers, and even old VHS tapes (yes, you know a teacher who has them!). Scotch tape can make a great lint remover. Painters tape or masking tape, both of which are easily removed, can be used to mark positions of furniture on the floor, attach name signs to desks, or used to make letters to spell out a message on a wall (maybe an S.O.S.?). In the event of a pen explosion, coffee spill, or nosebleed, the savvy teacher always has a spare outfit for clothing emergencies, even if it's just a set of workout clothes. Consider adding a lightweight t-shirt for when the classroom heats up. ​The administration will appreciate your preparedness — they may not consider a clothing emergency a valid reason to call it a day. A classroom of up to 30 students during cold, flu, stomachache seasons. Enough said. A small toolkit can help a teacher survive emergencies in the classroom when the janitor is not available. You must clear the items with the school administration to make sure they are not classified as weapons. A toolkit can be simple. Tools such as a small screwdriver (Phillips head and flat head) and a set of pliers can help adjust the screws on the desk, unjam a window or file cabinet, or jimmy open that top drawer in your desk. An eyeglasses repair kit is also a handy tool to have for quick repairs to computer parts, small appliances, and, of course, eyeglasses. All of these items must be kept in a secure location so that students do not have access to them. Teachers need energy. And while candy may be the easiest type of snack to store, a sugar high before noon can result in 2 p.m. fatigue. Instead of sweet treats, consider some healthier alternatives that can be stored for several weeks in a closet or drawer. These snacks can include nuts, power bars, dry cereal, or peanut butter. If possible, store coffee or tea. If there is a microwave available, you might also consider ramen noodles, soup, or popcorn. Be sure to put these in airtight containers; you do not want to attract mice into your classroom! Being a teacher isn't always pretty, but that does not mean you should not try to look presentable. To help, keep a set of travel-sized supplies for emergency grooming. These items can include a mirror, comb or brush, fingernail clippers, deodorant, moisturizer, and makeup (for touch-ups). Keep in mind that many school functions are held after school, so a travel toothbrush, toothpaste and mouthwash are a must. You don’t want to have the cafeteria salad bits sticking in between your teeth when you meet the parents. When the power goes out, you will need a flashlight. You will be surprised at how dark stairways and halls can be without fluorescent bulbs! While your phone may have a flashlight feature, you may need to use that phone for communication. And do not forget the batteries. You may want to get different kinds of batteries for other equipment like computer mice. The most important piece of equipment for surviving the school day does not fit in a kit: the teacher next door. That teacher may be able to step in to cover an emergency bathroom run. In return, you will be there to help if they ever need you. To really survive the school day, take the time to connect with your fellow teachers and share what happened during the day or week. This helps put events into perspective and can give you all something to laugh about, after all studies show that laughter is necessary for survival!